Industrial-organizational psychology is the branch of psychology concerned with the scientific study of behavior in the workplace and/or the application of psychological knowledge to that setting. The field stresses both knowledge generation (research) and the application of that knowledge (practice) to better meet the needs of employees and employers. Industrial-organizational (I-O) psychology represents the merging of two disciplines of psychology to address behaviors in the workplace. One discipline is individual differences. Psychologists well grounded in the understanding of human abilities brought this knowledge to the workplace and focused upon the match of job demands with individual skills and abilities. The second focus flows from social psychology. This focus, best expressed by Kurt Lewin, is concerned with the attitudes and behaviors of people in social settings encountered in the workplace. At one time industrial psychology referred to the first focus, and organizational psychology to the second. Today the single discipline represents the merger of the two. One of the most important concerns of industrial-organizational psychologists is that of selecting individuals to fill the various work roles in an organization, and placing the employees hired by the organization in jobs so as to create a good match of people to jobs. To accomplish these selection and placement tasks, the following procedures represent major concerns of industrial psychologists. A job analysis is the study of the job requirements. It first involves a description of the duties and responsibilities of the person who holds the job. In addition, the job analysis goes beyond the simple description of what must be done to suggest the human characteristics necessary to accomplish the job successfully. It is absolutely necessary that the nature of the job be understood before any attempt is made to select or place persons in the job. In addition to selection, job analyses are also essential for developing compensation systems and guiding career development and training programs. The nature of jobs and their links to many job functions have been greatly facilitated by the recent development of the Occupational Information Network (O*NET), a national database of jobs and job characteristics. Once the job characteristics have been assessed, it is necessary to assess the characteristics of individuals so as to match persons with jobs. The industrial-organizational psychologist must choose methods for assessing job-relevant individual characteristics that (1) are appropriate for the characteristic being assessed, and (2) possess acceptable psychometric properties of reliability and validity. Since standardized tests of skills and abilities, aptitudes, and/or interests often provide the best means of accomplishing these two objectives, the industrial-organizational psychologist must have a thorough knowledge of the standardized tests available and how to construct and evaluate tests. Situational interviews, assessment centers, biographical data, and a variety of other standardized measures are used to measure individual differences. Finally, it is the professional, ethical, and legal responsibility of the industrial psychologist to develop assessment procedures that are reliable and valid and do not discriminate unfairly against particular groups. Once employees are on the job, ways of assessing their effectiveness must be developed. This task encompasses the classical criterion problem that has received considerable attention from industrial psychologists. The development of criteria first involves identifying those job behaviors or outcomes relevant to effective job-role accomplishment, and then developing ways to assess validly and reliably the dimensions identified. The final step in the selection and placement process is to evaluate the fit between individual characteristics used for selection and the effectiveness of these individuals on the job. This complex process is referred to as validation or the validity study. Judgments about the effectiveness of employees’ job performance often must be based on subjective evaluations obtained from other individuals. Although these judgments can be made by any of a number of individuals on the job, the task of judging employees’ performance is usually accomplished by their immediate supervisors. These evaluations serve a wide variety of functions. Performance evaluations can be used as criteria for validating selection systems. They are also used for determining raises and promotions, to evaluate training effectiveness, and to counsel employees about their performance on the job or their long-term career goals. Subordinates, peers, and supervisors often provide feedback in order to provide employees with information about how their work and interactions are seen from many perspectives. Providing supervisors with appraisals from multiple sources for developmental purposes is currently referred to as 360-degree feedback. The establishment of appraisal systems requires that rating scales and procedures for using them be developed so that the ratings are as unbiased and accurate as possible. To accomplish this, researchers are faced with complex issues of scale development and policies for conducting such ratings. Major advances have been made in this area. One of the most important involves scaling critical job behaviors and describing them in the job incumbent’s own words. When employees or potential employees do not possess the knowledge, skills, or abilities needed to perform their jobs, they may obtain knowledge and skills through training. Industrial psychologists are involved in all four of the major phases of training. The first phase is a needs analysis, which considers the present and near-future demands of the jobs in the organization and then, in a very real sense, inventories the extent to which the workforce possesses the knowledge and skills that are and will be needed. This analysis considers not only the present employees, but also estimates the losses of personnel through retirement and other forms of turnover during the time period of interest. Once the needs analysis is complete, the industrial psychologist plans training programs to meet these needs. During this second phase, the psychologist applies what is known about human learning and training methods to best facilitate the development of the knowledge and skills needed. The third phase of the training process is the actual training. 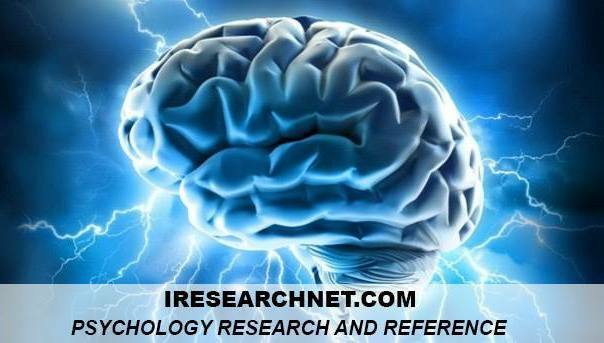 Industrial psychologists frequently are involved with conducting training. The ability to deliver training over the Internet, to create relatively high fidelity simulations with computers, and to make use of other recent advances are rapidly changing the nature of training. Finally, the effectiveness of the training should be assessed. It is the responsibility of industrial-organizational psychologists to attempt to build into the conduct of training programs ways to assess their effectiveness. The industrial-organizational psychologist deals with motivation at three different levels. First of all, psychologists must have a thorough knowledge of human motivation in general. They need to be aware of current theory and thinking related to motivation, regardless of the setting. At a more work-related level, at least four general motivationally-oriented processes are applied by the industrial psychologist. These are incentive systems, goal setting, participation in decision making, and job design. Incentive systems development involves the association of valued rewards with behaviors that the employer wants to encourage. To use incentives effectively requires a thorough knowledge of what is valued by employees and the likely behavioral effects of making valued outcomes contingent upon performance. In addition, one must be aware of the relative value of the incentives in the marketplace. Goal setting involves the establishment of standards for performance and feedback with respect to those standards. Participation in decision making or autonomy is predicated on the assumption that employees desire to have more say in what goes on at work. Industrial-organizational psychologists often have attempted to build participation into managerial/leadership training, performance appraisal, and other processes in work settings. The success of these procedures has been mixed. To a large extent, it depends on whether one is interested in improving performance or increasing employee satisfaction. Motivation is affected by having jobs designed so that job incumbents can believe their needs can best be met by behaving in a way that meets the organization’s goals. The design of motivationally-focused systems tailors the general motivational strategies to the particular organizational setting, its culture, and its employees. To do this, some combination of the four motivational processes just described is typically used. Increasingly, job design incorporates multiple employees in teams and work groups, where motivation is focused not only on individual task performance but also on the coordination and maintenance of effectively functioning teams. A great deal of effort has been expended by industrial-organizational psychologists to assess work attitudes. In particular, there is considerable interest in measuring employees’ satisfaction with their jobs. Much of the earlier work was motivated by the assumption that the more satisfied people were with their work, the more productive they would be. In the face of repeated failures to show that this was true, later work with job satisfaction has stressed the value of a satisfied work force as an end in itself. Also, information about satisfaction has a great deal of diagnostic potential for the organization. With it, the organization can often identify problem areas and then take action to alleviate these problems. Job satisfaction measures are most useful when they are a part of a regularly scheduled attitude survey repeated over time in the same organization. Periodic surveys provide feedback from employees on a regular basis, helping to identify trends in changes in attitudes and providing information for supervisors about the feelings of the people who work for them. Such surveys are also frequently used to assess the reactions of customers. Although job design has been mentioned briefly under work motivation, more space needs to be devoted to it, because of its relevance to industrial-organizational psychologists from a broader perspective than motivation. In particular, jobs must be designed to fit the abilities of the individuals who hold the jobs, as well as their motivation. Therefore, industrial-organizational psychologists tend to take one of two general approaches to job design. One is a motivational approach. Recent motivational emphasis has been on changing jobs so that they allow job incumbents more control, autonomy, feedback, and opportunity to be involved in their work. This point of view underlies the area known as job enrichment. With the increasing use of teams in the work setting, job design is also being raised to a level above that of the individual to include coordination, cooperation, helping, and other interpersonal behaviors. The other orientation toward job design concentrates on individual abilities and attempts to design tasks in jobs to match, as closely as possible, the abilities of the jobholders. This field is known as human factors engineering or ergonomics. This field has been strongly influenced by the information processing capabilities of human beings and machines with respect to the interface between people and computers, and influenced also by the technological advances in robotics. As a result, the field of human factors has become a subset less of industrial psychology than of applied experimental psychology and/or industrial engineering.